There are several methods of contacting The Blue Ribbon Project. Contact Us On-line: Our website utilizes and on-line ticketing system. This is generally the best method of contacting us. By Phone: 1-800-757-8120 Please note that we are a 100% Volunteer organization and our offices are not staffed full time. Please leave a message and one of our volunteers will return your call promptly. John Vigna was a star at Cloverly Elementary School, a charismatic, gregarious teacher beloved by children and parents. “Everyone’s favorite,” his principal said. But there was a problem: He had been privately warned about crossing the line with his students. The popular educator was admonished in 2008 for inappropriately having a child on his lap. Three months later, there was a similar incident, according to court records. After a third complaint in 2013, he signed a pledge to avoid “any physical contact at all” with students. He stayed in the classroom — but he did not keep his word. 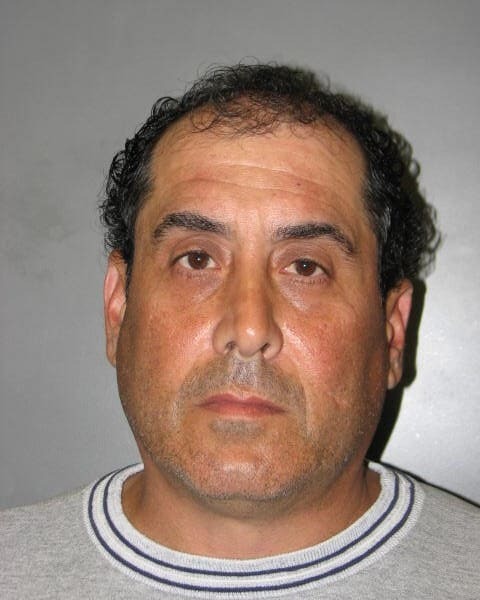 Vigna, 50, was sentenced this month to 48 years in prison for sexually abusing four students over the course of 15 years at the school in Silver Spring, Md. His case underscored a concern that has come up before in Montgomery County schools: Why leave a teacher with a history of suspicious conduct alone with children? Court testimony and records point to repeated warning signs about Vigna’s behavior over a period of years, raising questions about how well he was supervised, how many incidents are too many and how effective Montgomery is at keeping students safe despite recent efforts to improve child-abuse policy and procedures. The Blue Ribbon Project’s Community Outreach and Events team is an instrumental part of the mission of The Blue Ribbon Project. The Blue Ribbon Project receives numerous requests for someone to visit their organization and speak about The Blue Ribbon Project and the programs/services that we offer. This public visibility and the community support it builds is important in supporting the mission of The Blue Ribbon Project. As with all positions within The Blue Ribbon Project, this is a volunteer position.The Blue Ribbon Project’s Community Outreach and Events team is an instrumental part of the mission of The Blue Ribbon Project. The Blue Ribbon Project receives numerous requests for someone to visit their organization and speak about The Blue Ribbon Project and the programs/services that we offer. This public visibility and the community support it builds is important in supporting the mission of The Blue Ribbon Project. As with all positions within The Blue Ribbon Project, this is a volunteer position. Farmers Insurance of the Chesapeake is conveniently located in Havre De Grace, Maryland. Farmers Insurance of the Chesapeake offers a range of insurance products: Auto, Home, Life, and Business. Visit www.farmersagent.com/dgamble1 or call (410) 942-9130 to get a quote. On June 30, 2017 at 6:37 a.m. officers responded for a report of a found infant. An apparently hours old Hispanic male infant was found outside a home in the 2000 block of Forest Drive. The infant appeared to be in good health and was transported to a local hospital for care. We are concerned about the health of the mother of the child and are asking her to come forward to receive medical care. She may need medical attention or be a victim of a crime. Anyone with information about the identity of the mother or about her whereabouts is urged to contact our detectives at 410-260-3439. Please don’t share personal information on our social media pages. The Blue Ribbon Project is currently seeking dedicated individuals to be a part of it's Leadership Team and work specifically with our Backpacks of Love Program. Backpacks of Love are backpacks that contain emergency essentials for children who have to be removed from an abusive or neglectful environment. Backpacks of Love are age and gender specific and cover newborns to 17 years of age. A Backpack of Love is delivered to the child when they are being removed for their safety and prior to entering a foster home or placement. DENTON, Md. – The Caroline County Sheriff’s Office has arrested a Caroline County couple for allegedly injecting a child with heroin and forcing her into prostitution. According to the sheriff’s office, 35-year-old Darlene Allen and her boyfriend, 26-year-old Paul Owen were arrested sometime in early April after a months-long investigation into the potential child abuse. In January 2017, the Caroline County Sheriff’s Office and the Department of Social Services – Child Protective Services Division were notified about a child abuse allegation. The victim was a 15-year-old girl. The Blue Ribbon Project uses a short registration process to assign a registrant to a particular "group" to our website. This "group" is dependent on what one's role is and what information one is seeking. Please choose from the below list the "group" that best defines your role. It's important to note that a registrant can also be part of multiple groups. Please see the bottom of this page for instructions on joining multiple groups. If you wish to register as a volunteer, please use this form. Once registered, you will receive updates to upcoming volunteer days and other volunteer events. Additionally, when you are registered, you can easily sign up for for a volunteer day by logging in. Foster Parents should register using this form. When registered for this group, you will receive updates that are specific to foster parents, guardians, as well as foster youth. These updates may include such things as events, training, presentations, as well events that foster youth may attend. If you are a Foster Youth, please use this registration form. When registered for this group, you will receive updates specific to foster youth. These updates may include such things as our Aging Up...Not Out programs, events, holiday or Foster Youth parties, and other events. As mentioned earlier, a registrant can be part of multiple groups. For example, perhaps you are a Court Appointed Special Advocate but would also like to register as a volunteer. You can do so by first registering as a Court Appointed Special Advocate. Once registered and logged in, please visit the Volunteer Registration form. When you are logged in, this form will be pre-populated with your information. Just hit the submit button and you will be added to the extra group. Child adoption in Maryland occurs when a domestic placement is arranged by a child placement agency, whether a private agency or a government one. The children that can be adopted through the Department of Social Services are usually in foster care.